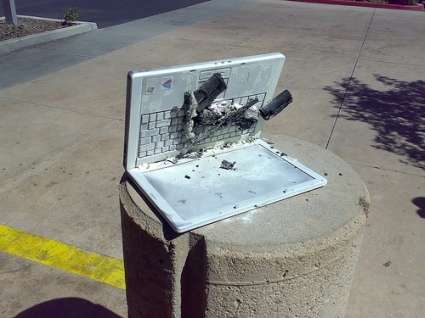 A Dell laptop exploded in Santa Clara at Yahoo’s research center and there by causing evacuation of the building. 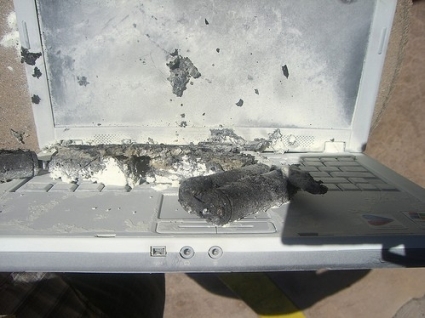 The burnt up laptop looks like it belongs to Dell Inspiron series. Many airlines have already banned usage of Dell laptops in battery mode inside the aircraft. 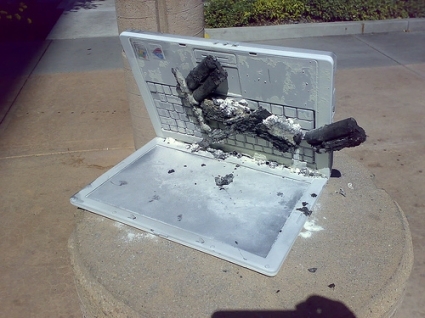 I once again ask my friends who are using laptops to be alert and take ample precautions. Thanks for sharing your thoughts about computer hardware. Next post: Microsoft Zune Vs Apple iPod: Which One to Buy?